One of the foundations for South Florida’s economy is the inbound flow of global commercial and real estate investments. But how will currency fluctuations, volatility in China and the Federal Reserve’s postponement of a rate hike affect in the decisions of international investors? 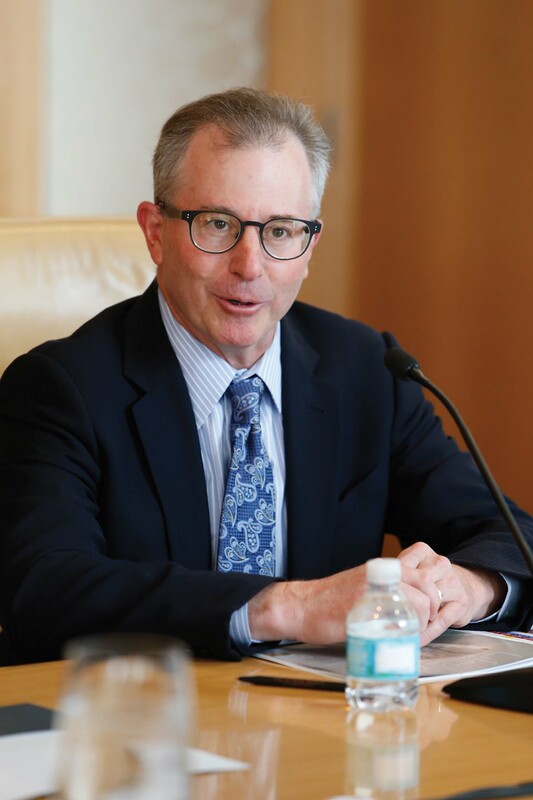 To address these issues, South Florida Legal Guide held a roundtable discussion on “The Outlook for International Real Estate Investment” with leading professionals on September 18. 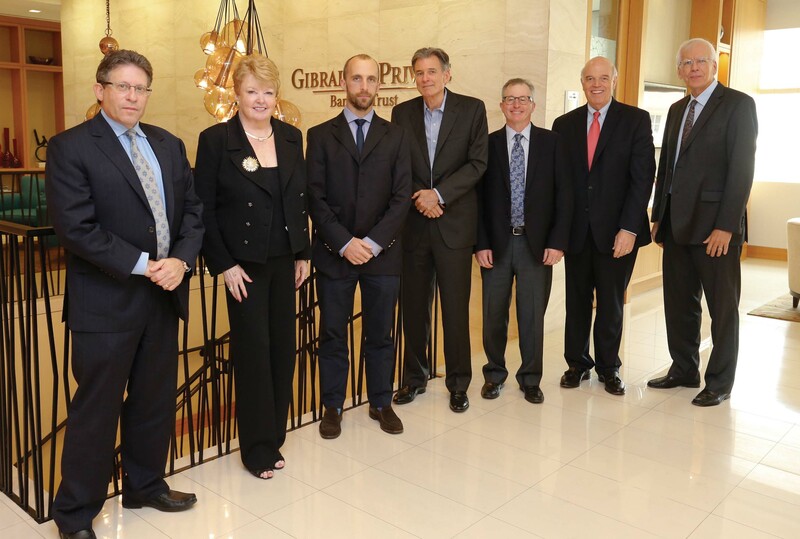 Gibraltar Private Bank & Trust hosted this special event for our Financial Edition. Editor Richard Westlund moderated the 90-minute discussion, which featured comments from six participants. Q. Let’s start by giving your individual perspectives on the international real estate market. What trends are you seeing today? Kinney: Our association has signed agreements with more than 125 foreign associations around the world. We interact with some more closely than others. I just returned from a conference in Brazil where I presented a seminar to 4,000 real estate professionals. Even though the Brazilian real has lost value to the dollar, their interest in Miami is stronger than ever. Many people were predicting that the market would drop off, but people want to get their money out of Brazil and there is more talk about moving here and setting up businesses. Shuffield: Our company deals mostly in the high-end residential market, so we see many wealthy international buyers. Over the last three years, there has been a gradual downturn in this market. Today 27 percent of residential sales in Miami-Dade County – as reported on the multiple listing service (MLS) – are to international buyers. That’s down from 31 percent last year and 35 percent two years ago. One reason is that many foreign currencies have declined against the dollar. For instance, for Canadians it is about 21 percent more expensive to buy here than it was in 2014. We sell a lot of Broward homes to Canadians, but at the moment they don’t feel an urgency to buy. We’re also not seeing as much Russian money these days. Buyers from Argentina and Brazil have also seen their currencies decline in value, but that hasn’t been as much of a deterrent as for other countries. Shindell: I work in a commercial law firm, so the evidence I have is anecdotal rather than statistics. But from what I’ve seen, we are still in a very good place. On the commercial side, there is a steady flow of work from international investors, who are coming from a wide variety of countries. In commercial real estate, equity has never been more available, and it’s a good time to be active in development and the buying and selling of commercial properties. While I read about the possible slowing in velocity, that has not filtered down to our business. Hill: We cater to domestic and international high-net-worth (HNW) individuals and families. On the international side, there are two trends going on. People from troubled countries such as Venezuela are feeling nervous and want to get their money out for security reasons. The other trend is the opportunistic buyer who is looking to purchase a home here at a good value, including many Europeans and Canadians. A lot of HNW people buying here already have their assets in dollars and currency movements don’t have as large an impact on their decisions. Lewis: As a small real estate firm with 15 lawyers, we focus on zoning and land use, working with banks, other lenders and developers. Since we have emerged from the recession – and all the litigation from that period – we have seen a great deal of activity on the development and zoning areas. But there is less appetite from banks for construction loans, especially for high-rise residential projects. While I am still a believer in Miami’s growth as a world-class city, we are still subject to the laws of economic supply and demand. So, we are keeping a close eye on things during this phase of the development cycle. In general, we are seeing a lot of buyers from France in high-end developments, and significant volume from Spain as well. Q. What are you seeing in regards to the Chinese buyers? Lewis: We aren’t seeing inbound investment from Asia, but that may change with direct flights to and from Miami International Airport (MIA). I believe that money from the Middle East and China will find its way here, but am uncertain as to whether it will grow to become a significant volume. Hill: The devaluation of the yuan was more of a symbolic shift than anything else, as China has been under great pressure to let its currency float more freely. The shock was that the devaluation occurred when it did, as analysts saw that as an indication that the nation’s economy needed a shot in the arm. Kinney: The Asian Real Estate Association of America (AREAA) has just launched its Greater Miami Chapter. That is a powerful sign of the interest in Miami real estate from the Asian market, particularly China. Shuffield: We have had many meetings with wealthy Chinese groups. Recently, I went to dinner with nine prospective buyers from China, and each one was worth at least $100 million. They are interested in big projects, and especially in the EB-5 program. But so far our company’s sales to Chinese buyers have largely been to wealthy younger families who want to get their children into U.S. schools. Kinney: We are seeing that as well. A Chinese buyer might buy four or five units in a new condominium building – the kind of sale that doesn’t make the newspapers. But in one case, a Chinese investor who didn’t speak English looked at list of the units in a new condominium. He highlighted four residences and handed the list back to the sales representative. She was very happy thinking that she’d sold those four units. Then, the interpreter told her the buyer wanted all the available units in the building except for those four, which had unlucky numbers. Q. What else can we do to strengthen those ties? Kinney: Building stronger educational relationships is very important. We will be partnering with Florida International University (FIU), which has 4,000 students on two campuses in China offering hospitality and business programs. When those families come to Miami for student orientation, we will give a presentation on Miami real estate. Already, we’re finding that Chinese buyers may want to purchase a home for their kids, and another for themselves. One parent of a University of Miami student recently bought four properties here. Next year, we will be giving a presentation to 100 top Chinese brokers at the National Association of Realtors convention in San Diego and invite them to spend a week with us in Miami. Q. Will the Federal Reserve’s recent decision not to raise rates have an impact on international real estate investment? Hill: Interest rates have been low for a long time and will continue to be low. If you look back at the last 40-50 years, the average has been around 4 to 5 percent, while today the Fed rate is effectively zero. So a 25-basis-point rise in December won’t derail the housing market here. Anyone with a higher-rate mortgage will probably already have refinanced. Q. What advice would you give sophisticated international investors with regard to legal, tax and immigration issues? Lewis: When a foreign buyer contacts our law firm, we emphasize the importance of getting tax and accounting advice. Even if they have made investments here before, they shouldn’t assume that things are the same as the way it was ten years ago. Immigration issues aside, someone who brings a large amount of money into the U.S. needs that professional advice. Appel: The U.S. has a complicated legal and tax system that is difficult for foreign investors to navigate. We advise our clients to get educated. When they make direct investments, they are likely going to be subject to a 40 percent estate tax. There are ways to structure an investment, such as creating a trust, to avoid that potential liability. Of course, if a foreign investor structures a transaction in the wrong way, it becomes even more complicated to unravel things. Shindell: We advise investors to choose their U.S. partners carefully. Spend time with them, and don’t just pick someone from their own country who speaks the same language. Instead, they should look for a partner who is active in the South Florida marketplace and knows it well. A good U.S. partner should also do business in a way that matches the investor’s temperament and culture. Just as we may make the mistake of viewing every Latin culture as the same, an international investor should remember that every U.S. real estate developer is different. Be sure your objectives, value and goals are aligned. Q. What should be the role of real estate in an investment portfolio? Shindell: It should be 100 percent commercial real estate! Kinney: My Realtor members would totally agree with putting real estate front and center. Hill: Many clients come to Gibraltar Bank because they want to diversify their portfolio around their real estate holdings. We don’t discourage real estate investment – after all, Miami real estate has made many people very wealthy – but we try to manage for long-term legacy wealth. We believe in the importance of a diversified portfolio that may include alternative assets and strategies along with stocks, bonds and real estate. We want to smooth out the return stream, and reduce the risk of digging a hole on the low side. We have also increased our cash levels in many portfolios to the 5 to 10 percent range, which is large by historic standards. Q. Are you seeing any demand for jumbo mortgages and other types of residential financing? Shuffield: Yes. We have always had that demand, even though most international buyers pay cash because it’s simple. Kinney: They also want to get money out of their native countries. In fact, I was surprised by our survey finding that the highest percentage of all-cash buyers came from France. Lewis: We are concerned about the buyers who have given a substantial down payment to a developer for a new condominium. If their currency has been devalued, they may need to finance the balance of the acquisition, even if that was not their original intent. That may need to be filled by the banks or private lenders. Otherwise, there may a shortfall that could affect the developer, as well as the international buyer. Hill: Once they make a purchase in cash, they own an asset here. Then, they can take out a loan against that asset, rather than going through the difficult procedure of getting a mortgage loan in the first place. Q. What about lending on the commercial side? 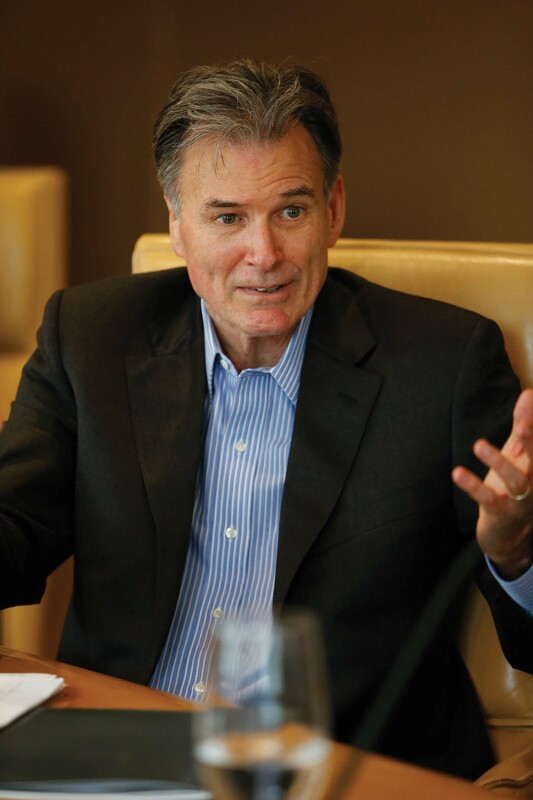 Shindell: There is more equity capital out there today than anyone can remember, and the terms are better, too. CMBS (commercial mortgage-back securities) financing is more available than in the past few years. However, the commercial banks are less involved in construction lending today, partly because it’s harder for them to lay off some of that debt. They also know that once they get into a project, it’s almost impossible to get out. But there is no shortage of cash available, and it’s clear that many foreign investors want to put their money into Miami. Q. Have currency devaluations affected that flow of commercial investment? Shindell: We are not seeing that. Take Argentina, whose currency has lost two thirds of its value in the past decade. So far this year, we’ve seen investors from Argentina pay $125 million for 1.25 acres at the Epic East site in downtown Miami and $140 million for a 12-story office building at 777 Brickell, as well as sites on Miami Beach and the Miami River. That shows that even with devaluation, the money is still flowing into South Florida. For me, what’s even more exciting is to see foreign investors from Asia, Latin America and Europe getting involved in our community. They are bringing fresh ideas from other cities around the world, rather than just parking their money here. Today, Miami is the epicenter of the flow of creativity. 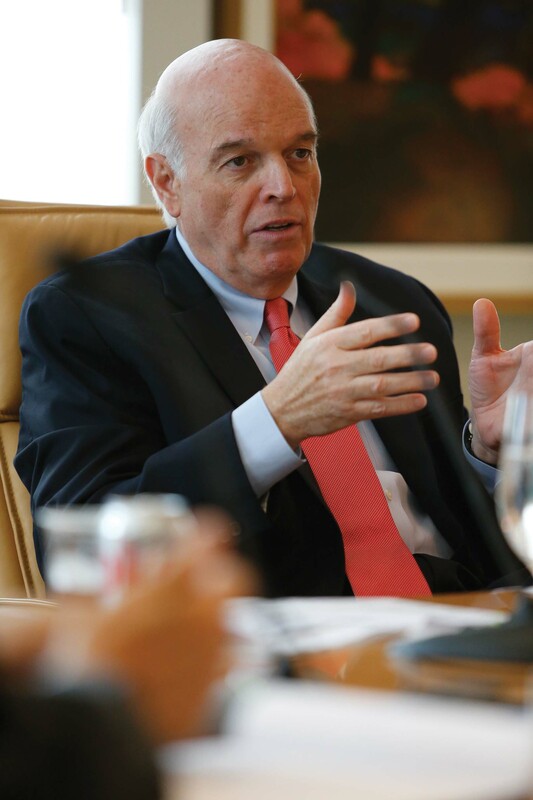 Appel: For very wealthy families, currency devaluation is not an issue. Many have already moved money into dollar accounts to avoid the risk of loss of value or currency restriction. But devaluation is a concern for families who didn’t move their money out and have lost their buying power. Q. Along with finding a safe haven for flight capital or potential returns, what are some of the other motivations of international investors? For example, is the Miami lifestyle a factor? Lewis: Absolutely. All it takes is one trip to South Beach to realize the appeal of a Miami lifestyle. Shuffield: From sports teams to restaurants to shopping to cultural facilities, Miami is very attractive to travelers. Just look at the success of PAAM (Perez Art Museum Miami), which attracted far more visitors than expected in its first year. Kinney: We have a tremendous advantage over many other states because of our lifestyle, weather, pricing and lack of a state income tax. That makes homes a true bargain for buyers from New York, New Jersey, Connecticut and California. Shuffield: We sometimes don’t realize how much that extra tax means to people. I met a buyer from California who will save $1.3 million a year in taxes after buying an $8 million home here. Now, he’s enjoying that cash flow while dining at Joe’s Stone Crab and taking advantage of everything we have to offer in terms of a lifestyle. Q. What are the biggest challenges facing our real estate market? Lewis: I think we need more organic growth in our residential market, where median prices are well above the median income affordability level. That may not be a problem for developers as long as international buyers continue to invest here, but it is a red flag for the long-term sustainability of our city. Appel: Rising apartment rents are putting a lot of pressure on employee salaries. We are seeing more young professional move to Broward and Palm Beach because rents are cheaper to the north. Shuffield: Inventories of $1 million-plus condominiums are growing, and the sales pace has declined. There are a lot of new units going into the rental pool, where they compete with new multifamily apartment projects. That means prices are likely to trend down in the condo market, There is a huge investor component in our market, but unlike the previous cycle, this time there is nowhere near as much leverage. Kinney: Even though we’ve had record-breaking sales for the past four years, prices are still where they were in 2003-04. In Miami-Dade now, we have 5,000 properties listed for sale under $250,000, so we are still one of the most affordable metropolitan areas in the U.S. The problem is that those homes are generally located a long way from our major employment centers. Q. What do you see happening in 2016? Lewis: Flight capital will continue to come into the United States, and Miami is the logical beneficiary from wealthy families in Latin America. This is an incredibly safe place to live and put your money to work. But is there enough of that flight capital to sustain the current level of development? That is a big question for the coming year, especially with so many currency devaluations. Shuffield: To me, the big story has been the return of the American buyer. We are seeing an increase in sales to buyers from New York, Chicago, Washington and other major cities. And a lot of young professionals are moving here. As a result, I think we’ll continue to see Miami become a more lively and hipper place to live. Kinney: The condominium market for resales won’t be as strong as for single-family homes. A lot of international buyers like new construction, and that will continue to be the case. But the better investment next year is likely to be in single-family properties. Appel: The Internal Revenue Service (IRS) is more aggressive than ever in terms of penalizing taxpayers for non-compliance, especially for international transactions. If matters aren’t handled correctly, the government is quick to assess penalties. That’s not going to change in 2016, and investors need to be aware of our changing regulations and practices. Hill: The financial markets will always be interesting. The Federal Reserve may hike rates in December and the dollar might rise further against other currencies. That could well affect the aspirational buyer from the emerging middle class in Brazil and Argentina who may want to buy a condo here in Miami, but find it now priced out of reach. Shindell: I’m waiting to see the effect that All Aboard Florida (a planned private rail line connecting Miami to Orlando) will do to the north edge of downtown. It’s also fascinating to watch the continued diversification of Miami’s economy. Who would have thought that Turkish money would be flowing into our city or that we would have direct flights to Istanbul? It’s an exciting time to be in real estate. David Appel is a senior partner in Marcum’s Tax & Business Services division and National Leader of the Firm’s EB-5 Investor Services Practice Group. With more than 30 years of multidisciplinary experience in domestic and international taxation, Appel focuses his practice on family business tax strategy and consulting services. Jonathan Hill, is senior vice president and director of investments, Gibraltar Private Bank & Trust, where his responsibilities include macroeconomic analysis, asset allocation and portfolio construction. 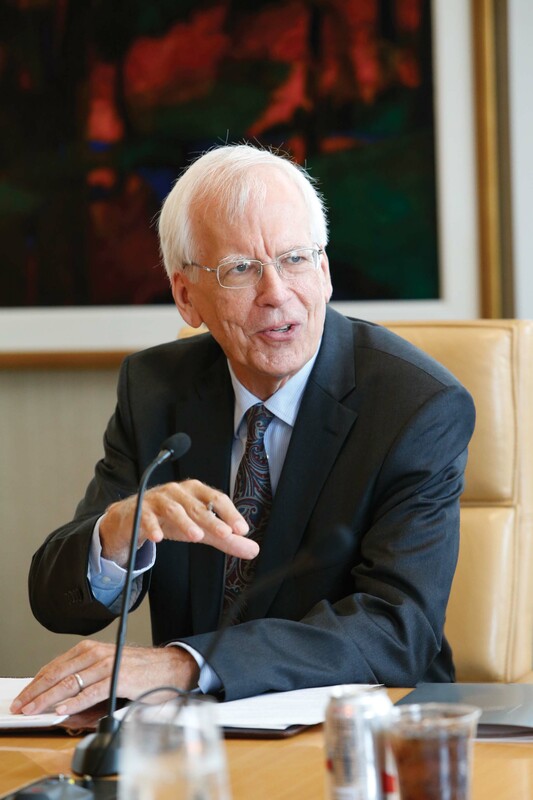 Prior to joining the bank, Hill held positions as a trader analyst with the Federal Reserve Bank of New York’s treasury market policy group and cross-market monitoring group. 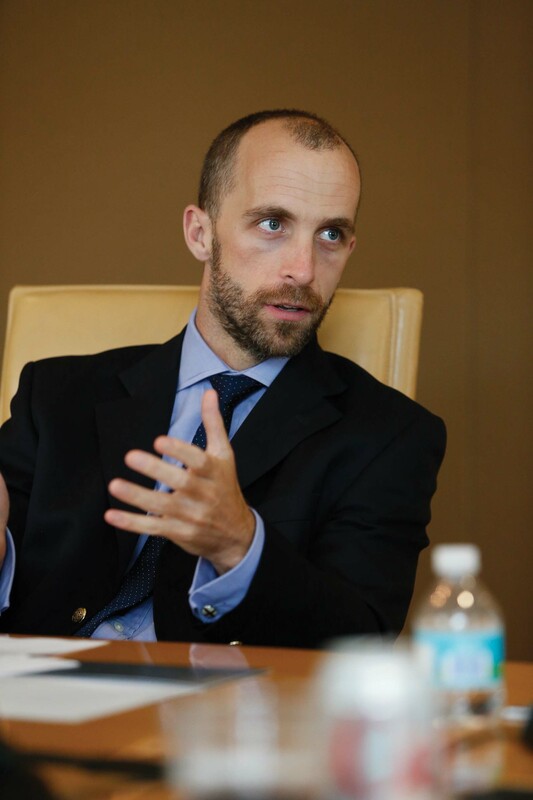 Earlier in his career, Hill spent time as a trader and junior fund manager with BAC Florida Investments in Miami and as an analyst with ABN AMRO in London and New York. Teresa King Kinney is chief executive officer of the 13,000 member Realtor Association of Greater Miami and the Beaches (RAMB), which includes more than 12,000 members in their Residential Association and 1,000 members in its Realtors Commercial Alliance. The association also hosts the largest local International Real Estate Council in the nation, with 2,500 members and has partnerships with over 125 international associations around the world. 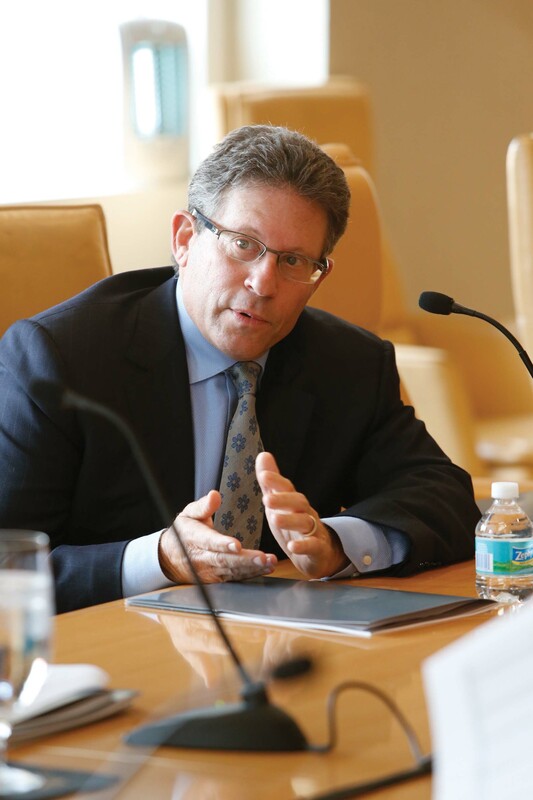 Harold L. Lewis is a partner of the Miami law firm of Pathman Lewis, LLP, and is head of the firm’s real estate and banking, corporate, and transactional departments. Lewis is knowledgeable in real property title issues and has written and lectured extensively in such varied areas as loan workouts and commercial contracts. He represents numerous businesses, both large and small, and prides himself on providing practical legal and business advice on the day-to-day issues affecting business owners. James W. Shindell serves as chair of Bilzin Sumberg’s Real Estate Group. His practice involves the representation of developers, owners, private and institutional investors and lenders in a broad range of real estate matters, including acquisitions, sales, financings, leasing, joint ventures, workouts and restructurings. These matters have involved office, retail, hotel, warehouse, industrial, residential, mixed-use, telecommunications and development properties. Ron Shuffield is president and CEO of Esslinger-Wooten-Maxwell Realtors® (EWM), a South Florida-based real estate brokerage firm. EWM is the South Florida exclusive affiliate of Christie’s International Real Estate (CIRE), a division of the Christie’s Art Auction House based in London. 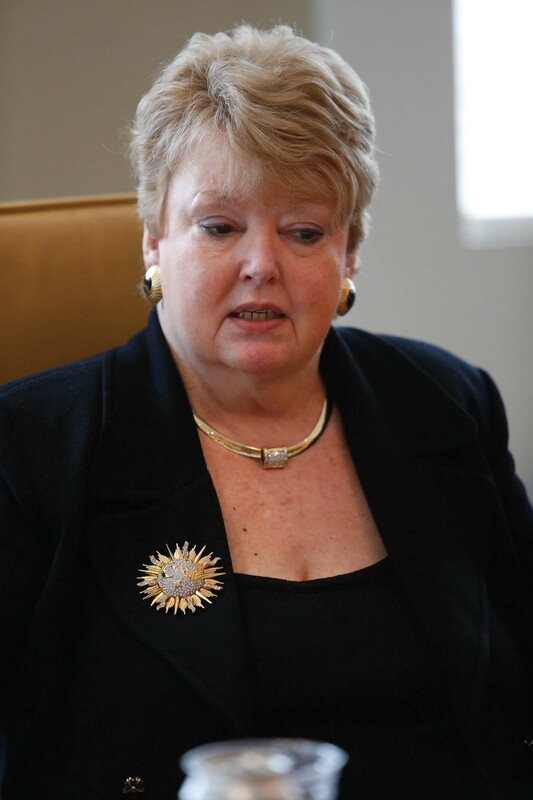 Shuffield has been a member of the international advisory board of CIRE since 2001. As a part-owner of EWM since 1984, he sold EWM in 2003 to HomeServices of America, Inc., an affiliate of Berkshire Hathaway. EWM has 800 associates and staff members who are involved in $2 billion of South Florida real estate service transactions annually.